Take action! Patrol the neighborhood! Deter Crime! If criminals see us patrolling, they are more likely to commit crimes somewhere else! 3. Train on an actual patrol with you and two Bagley neighbors. 4. Detroit Police Department will provide a CLEARANCE for you to patrol. 5. 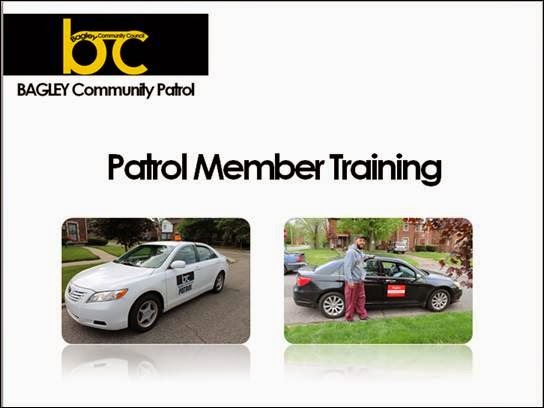 Begin to deter crime in the Bagley Community by patrolling!